When you are afraid to be who you are and never show people the real you, there’s nothing special about you. Unfortunately, phony people try to pretend like they are living happy lives, and many of them want you to envy their false identities. What’s to envy about living a phony life? A life that’s not grounded in truth is a life that’s not worth living. Phony people never have an opportunity to rest because they always have to put on a performance for an audience—that has to be an exhausting way to live. What’s to envy about never being able to just relax and enjoy being yourself? You shouldn’t count on people not discovering who you really are inevitably. Although many people are fooled by the falsehoods of phony people, there are many people who can see right through those falsehoods. What’s going to happen when there are moments that arrive in the future that don’t give you an opportunity to put on your falsehoods as quickly as one can put on makeup? When you live a life that is a lie, you are not qualified and prepared to live the type of life you are currently trying to live. When you are living a life that hides who you really are, the longer you live this type of life the deeper you move yourself into getting exposed in such an embarrassing way that you may never be able to recover from the shame associated with being exposed. Far too often, individuals living a phony life assume that people who are living authentic lives are trying to expose them and hurt them intentionally. Phony people will often assume that things people say and write are about them. This results largely from the reality that phony people are never in a safe place, considering they always have to be concerned with being exposed. What phony people need to realize is they shouldn’t feel shame about the things that they are attempting to cover up. The things you are trying to conceal are things that are a part of you. Have enough love for yourself to love all of the parts of your comprehensive composition. In no way does this article advocate for people to tell everything about themselves to everyone—that would be unwise. What this article does contend is you should not get up every morning having to plan out how you’re going to hide the aspects of your live you don’t want people to know about. Phony people have to think about how they’re going to hide who they really are each morning even before they are able to think about taking a shower and brushing their teeth. Now, why would someone want to be envious and jealous of this type of life that phony people live? Dear phony people, you’re living a miserable life and no one wants to live a miserable life, so stop thinking that people are envious and jealous of you. Envious and jealous of you for what reason or reasons? Even when it may seem that you can gain a competitive edge by not being who you really are, resist this temptation. Make up in your mind that you’re going to be yourself no matter what other people think. You will have an easier life when you decide to be who you naturally are. Live the life you want to live and not the life you feel you need to live to please other people. When you resolve to be who you are, say what you want to say, and do what you want to do, you are going to receive some serious criticism and resistance. Don’t let this criticism and resistance keep you from enjoying who you genuinely are. Live free. Be yourself. Well said as usual! Love the be yourself cause others will like you better being genuine. Just like a genuine diamond – you will shine brighter than others! Thanks, Ginnie! I appreciate you very much for reading and your feedback. Thank you! I appreciate you very much for reading. Yes, real people can certainly detect fake people. If you don’t find a post that you like, I don’t mind composing an original one for your site. Just let me know. Thanks! Hi Antonio, I actually see two posts that I like. I will feature them next week, and give you a heads up when they are posted. Thanks again, Antonio for your work. Awesome! I look forward to them being posted on your site! Thanks! 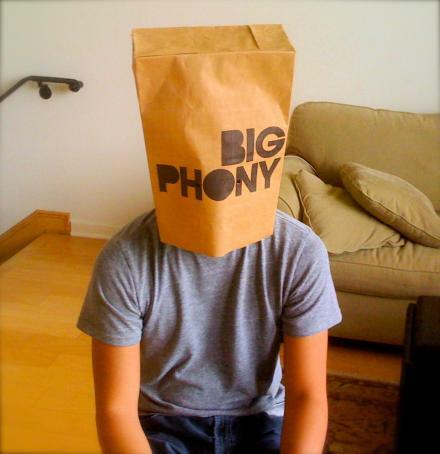 From my experience most people are phony because some form of self-esteem that they do not have. We all experience it is just what do we do to fuel this self esteem issues. Do we we subcumb to the fear we have of this insecurity which leads us to be phony are strive to be as real as possible even if the world around us tells us not to be. If all people would make a commitment to love themselves and work on making themselves better each day, then they would not have any self-esteem problems. The problem that most people have is they are too focused on others rather than on themselves. Too many people live through others and too many people live the lives that others want them to live. People have to appreciate and love who they really are. In order for one to love who he or she really is, he or she must learn who he or she really is. Thanks for reading and for your response! I agree 100%! To me, when people create these false identities and live in these false identities each day, they are no better than being dead. When you don’t live your life, you’re dead. Therefore, those who live phony lives we need to have an official burial for them. Thanks for reading and your response. Thanks, Kristina! We can only hope that these people will change their phony ways and live a life that is authentic. I very much appreciate you for reading and your response. It truly is one of the more difficult personalities to deal with. Pretty sad. I agree. Thanks very much for reading and your response. At some point, people have to be challenged to move beyond a toxic complacency and come to terms with truth. Yes, we all face specific circumstances, but we must deal frankly with those circumstances if we hope to experience true progress.